Welcome to Sherman Oaks Dental. We're always happy to meet new patients and to talk to our current patients. If you're looking for a new family dentist in Naperville, we know you'll be happy choosing us to care for you and your family. Please call or fill out the form below to schedule an appointment or to ask a question. If you need help finding our office or would like to learn of other ways to connect with Sherman Oaks Dental, scroll down below. 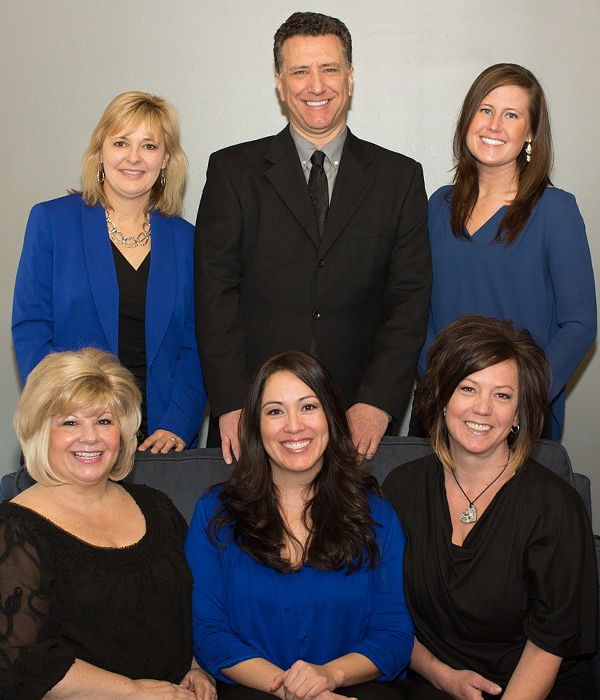 We are excited to have you become a part of our family dental practice! Thank you for considering Sherman Oaks Dental as your new Naperville family dentist. Our team is dedicated to giving each patient a positive experience every time they visit. Our dentists are skilled in a wide variety of services including cosmetic dentistry, preventive dentistry, dental implants, sleep apnea treatment, gum disease treatment, and much more. If you're preparing for a first visit to our office, check out our new patient page for more information about our practice and a link to our new patient form you can print and fill out before your visit to save time. We look forward to meeting you and helping you keep a healthy, radiant smile for a lifetime. We like to keep in touch with our patients between visits through social media. We'll keep you up-to-date on what's going on in our office, give tips on everyday oral care, and let you know about contests and special offers. Like our Facebook page and follow us on Twitter to stay connected. Also follow our blog for great information on how to keep your smile bright and health. Sherman Oaks Dental is conveniently located on Sherman Ave. just off of E Ogden Ave. (US-34). Look for our office in a shopping center with Universal Open MRI and Naperville Skin Institute. Go north on Washington St. Turn right on E. Ogden Ave. Turn left on Sherman Ave.
Find us in the shopping center on your left. Turn right on Sherman Ave.
Take the Winfield Road exit. Turn right on Winfield Rd. Turn left on Diehl Rd. Turn right on Mill St. Turn left on Bauer Rd. Find us in the shopping center on your right. Click on the Google map above to get directions from your location. If you're using the Metra system, get to the Naperville Metra Station. Take the 714 bus north to the Ogden/Sherman stop. Walk Northeast on Ogden Ave.
Find us in the shopping center on your left. The walk takes about 2 minutes.